Vietnam is one of the easiest places to travel in Southeast Asia, as surprising as that sounds. The people are friendly and accommodating, the cities are very safe and easy to get around in, and even the most remote destinations are fairly accessible. Still, it’s not the same as traveling in the better-established destinations; and it does pose certain limitations to foreigners—driving without obtaining a Vietnamese license first, for example, is simply not allowed. Understandably, travelers visiting this beautiful country for the first time might have some apprehensions. Here are ten valuable tips to prepare them and put their minds at ease. Carry enough cash. While some places, like hotels and big restaurants, accept credit and debit cards, cash is still the main currency in the country. In fact, even in big cities like Hanoi and Ho Chi Minh City, many shops and restaurants only accept cash. Visitors, therefore, should carry enough Vietnamese dong with them for dining, tipping and shopping. Cabs are cheap; take them! Unlike in cities like London or New York, city cabs are very cheap in Vietnam so travelers should not hesitate to hail one for convenience. Most cab drivers here are respectful and fair enough to use the meter instead of negotiating a fixed price—although if you happen to get one who asks for a set rate, you can simply insist on the meter and just tip him a little extra. Just be sure to have the address of the destination on hand, especially if it’s not well known, in case the driver doesn’t speak English. Eat the street food. Sampling the undeniably delicious street food in this country is an essential part of the Vietnam experience. In fact, it’s one of the main reasons why people from all over the world visit the country. 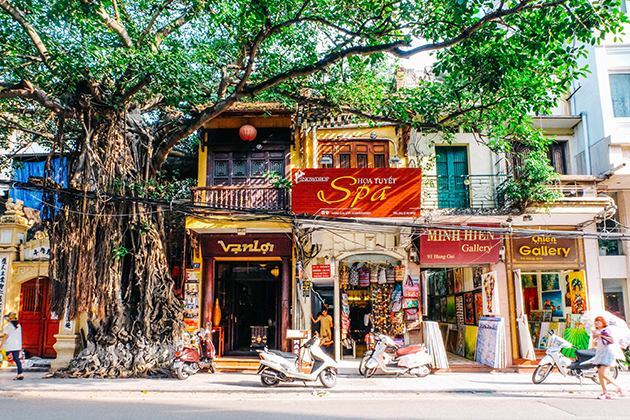 Hanoi’s Old Quarter, for example, is a hodgepodge of small joints and stalls that serve some of the best street food that Vietnam has to offer. A bit of research might be necessary prior to visit to ensure food safety, but avoiding food poisoning is pretty easy as long as travelers use good judgment. Hire a tour guide or operator. Foreigners are expected to obtain a Vietnamese driver’s license first before they can rent a car and drive in Vietnam. It is definitely tedious, something short-term travelers wouldn’t and shouldn’t bother with. Hiring a tour operator or a tour guide instead—someone who can drive, usher and show you around—is a fantastic, convenient and surprisingly affordable alternative. Bargain, bargain, bargain. 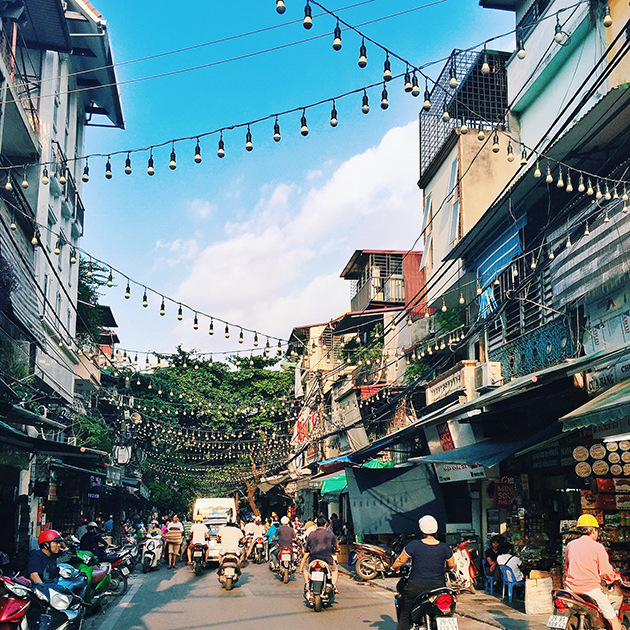 Much like in countries like Morocco, India and Thailand, Vietnam is a great destination for shopping. You’ll find everything from handmade bags, cute clothes and wall hangings to painted bowls, lanterns and small knickknacks for souvenirs. The best part is not only are prices very low, you can also bargain hard to get even better deals. Just remember to haggle with a smile. Smile. Speaking of which, Vietnamese people are some of the friendliest in Asia. They’re always so pleasant and welcoming, and they always greet others with a warm smile. So while there, be sure to adopt their positive attitude and smile! You’ll find that this not only puts locals more at ease, but also results in making lasting friends. Consult the locals. Who knows better about a place than its locals? Vietnamese people are some of the friendliest in the world, and they would gladly point visitors in the right direction if they asked. Make friends with locals, or simply ask a hotel staff member or even a nearby vendor. Ask for directions, get recommendations, and even better, let them tell you about their country’s fascinating history. Dress conservatively. Shorts, sleeveless tops and short dresses are ok, but outfits that are too revealing may be frowned upon. After all, while Vietnam is a fairly easygoing country, it’s still conservative in many ways. Leave the very short skirts, crop tops and plunge necks at home, and opt instead for pieces that are fashionable and comfortable yet not too flashy or show too much skin. Tackle that motorcycle traffic with confidence. 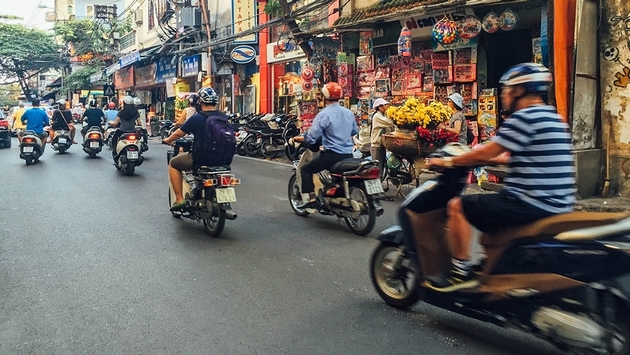 Hanoi’s insane motorcycle traffic might seem intimidating at first. It’s disorderly, it never seems to stop, and there aren’t enough well-defined pedestrian crossings. However, it is easier to navigate through than it looks. The trick is to have confidence when crossing that traffic. Be careful and be hyper alert, but do not hesitate either. And know that those motorcyclists are experts at swerving and avoiding collisions. Travel safe but be bold and explore. As always, travel well and travel wisely. Vietnam is a very safe country to visit and violent crimes are unusual. Travelers can walk around the most obscure town, for example, without having to worry about getting mugged. So feel free to explore and wander off the beaten path. But like in any other destination, making smart travel decisions, applying due common sense, and respecting the country’s rules can go a long way.